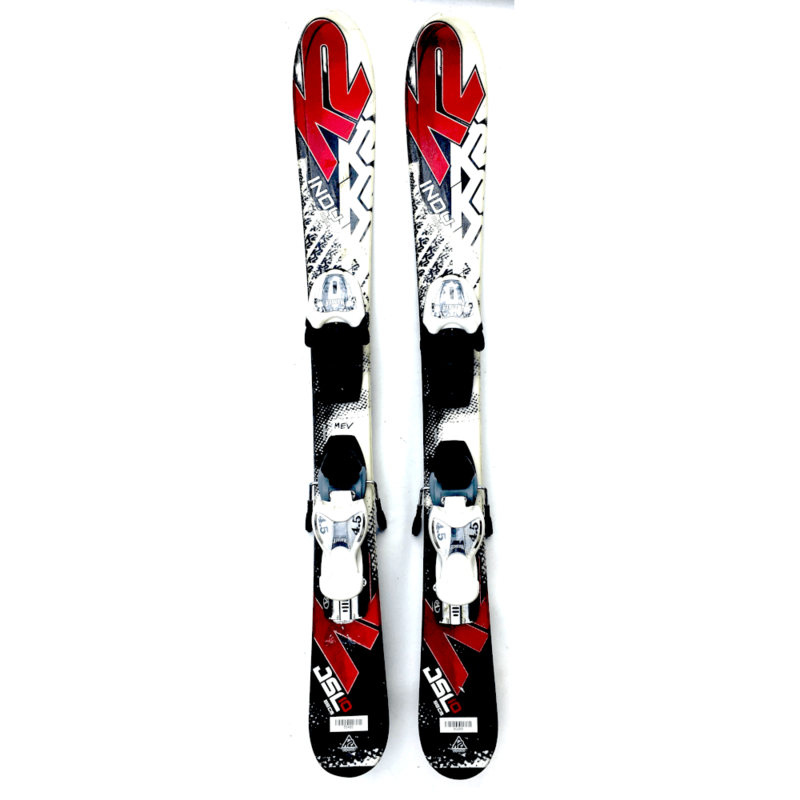 The K2 Indy Junior Skiboards with ski release bindings used make skiing super easy. Made for kids in 88cm, these are the perfect size for them to have a good time. 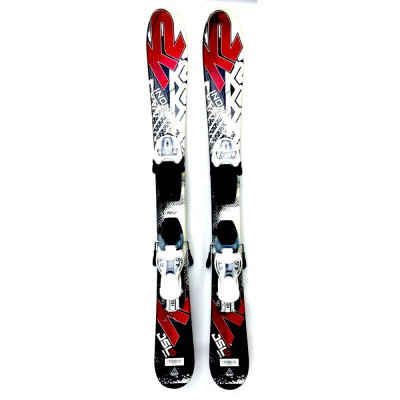 The K2 Indy Junior Skiboards with ski release bindings used make skiing super easy for kids. These are the perfect size in 88cm length for them to have a good time. These skiboards are used but in great shape. Bases are waxed in great condition and top sheet has some scuffs. Why rent when you can buy for almost the same price? The K2 Indy Skis feature a “Catch-Free Rocker” in the tip for easy turning making it easy to learn and have fun. 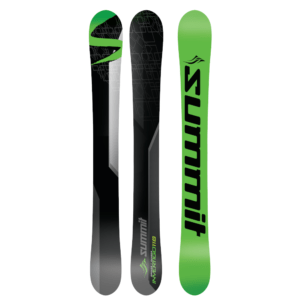 These offer a 20% rocker for ease of turn initiation with 80% camber for edge grip and stability in varying conditions. 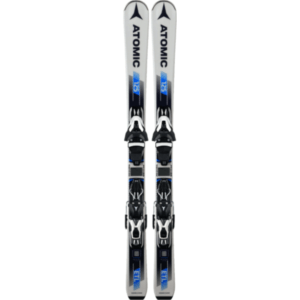 These are lightweight and bindings will adjust to a range of boot sizes. In short, these skiboards make skiing simple and fast to learn, providing more ease and freedom during the first approaches to the snow. Works for kids of all ages as long as boots fit the bindings. Give them a fun time from the beginning is our philosophy. NOTE: These are used but in great shape. Bases are waxed and ready to ride. Scuffs on top sheet. Marker 4.5 Bindings: DIN .75-4.5. Boot size sole length: 195-263mm. Approx. Junior 7 – Adult 4 US. Read more about family fun on the slopes.